"Karla put in a great deal of effort to design our logo. We greatly appreciated her time and dedication adjusting the logo until we found the perfect vision of our soon to be store. Thank you Karla. " "Karla has done multiple jobs for us and always does great work! She is timely and immediately responds to requested changes. I highly recommend her services. " "Karla always does a great job in a timely manner! " "Always easy to work with!" "We have worked with Karla Michelle for several projects including logo design and complimentary office document designs and she has always created quality designs in a timely and cost effective manner. I highly recommend her services!" "Karla is talented, reliable and easy to communicate with. We highly recommend her." "She did an outstanding job designing my logo. She listened to what I wanted, and transformed by thoughts into a logo that pleased me. She was great to work with." "Karla was great to work with and listened to what edits we were needing to be made. She was also very patient while working with me and always worked fast in order to give us a new design to review. Our company is very happy with the finished project! T..."
"Karla artistically understood just what I was looking for! Communication with her was easy and she made changes very quickly. I am so happy with the clean design! It communicates everything that I needed for my brand!" "excellent in all respects. 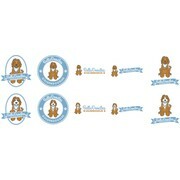 Exceeded my expectations"
"I have loved working with her she is fast and efficient and I loved her designs! " "Fantastic to work with and loved the creativity. My logo exceeded my expectations! 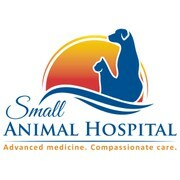 I highly recommend :)"
"We need an updated logo for our veterinary hospital. We were more than impressed and satisfied with the quality of work submitted by the designers, and had a difficult time choosing one. The designers did a fantastic job tweaking their original designs ..."
"Karla did a great job! She understood exactly what I was looking for in a logo and was quick to make any requested changes. Thanks =)"
"Karla was awesome! Any little tweaks were done quickly and accurately. It was very obvious that she spent time reading my design brief and understood what I wanted. It was as if she got right into my head and gave me exactly what I wanted when I di..."
"Excellent designer. Very responsive and efficient. Will definitely work with her again." "Karla's design brought a tear to my eye. Her fun, bold and classy design gives the exact feeling that we were looking for. Thank you so much for sharing your creativity and talent, Karla!" "I had somewhat of an idea of what I wanted in a logo going into this project. Having never done this before, I was curious as to how this would work. Karla's design hit the mark almost off the get-go (within a few hours actually). It embodied our new..."
"Karla is an amazing artist. I was fortunate to have hundreds of submissions from dozens of artists. Karla submitted 4 or 5 different designs, and they were in a different league. It was instantly obvious that she would win the contest. I would work with..."
"Karla Michelle is amazing she took my idea and translated it on paper. She is great to work with and makes any changes you want within seconds. If you want a great designer make sure Karla Michelle is working on your project...I am very picky and she na..."
"Great work Karla very original and creative yet professional design"
"Karla Michelle did an amazing job! Her contest submissions were all contenders - each illustrating both her design talent and her ability interpret my vision. I will continue to contract her for future design work." "Listened to feedback, was timely and above all very creative. Clearly read the brief and tried hard to meet all the needs I had for a logo. great job." "Karla is prompt with an endless reserve of patience for multiple adjustments, questions, and changes. Her attention to detail is excellent!" "WOW, all but sums up my experience with 99Designs in general but most specifically with Karla Michelle. The entire process though somewhat intimidating at first not being able to meet face to face with designer proved to be seamless and in all honesty e..."
"Excellent logo for my company!! Great person to work with!!" "Karla did a fantastic job. Great design and great service! " "Karla did an amazing job in capturing the feel and tone of my office. I was unsure of exactly what I wanted and karla was very quick to make any changes that I wanted to see with the design. 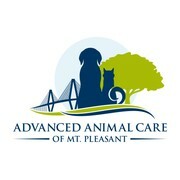 I was very happy with the experience and would absolutely have..."
"We love our new logo! Karla made the whole process so easy and was great to work with!" "Karla was great to work with! She accommodated every suggestion I had to personalize the logo for my company. I was very pleased with the ease of the process and quality of the work and would consider seeking Karla's expertise in future projects." "Karla is professional and a pleasure to have done this project with. Im very very happy.......Thank you"
"THANKS FOR A GREAT JOB. 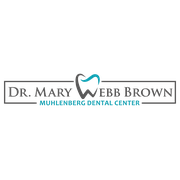 WE WILL DISPLAY YOUR LOGO PROUDLY ON OUR SIGNAGE, LETTERHEAD AND BUSINESS CARDS. 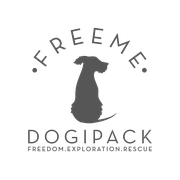 THANKS AGAIN "
"Great job to Karla, she incorporated all the features I wanted in a logo." "Thanks so much. and i love the design and think it represents our business perfectly. " "Great designer! Super quick to make changes and very creative. Love the work!" "Awesome. Very quick and creative"
"Thank you 99designs for such a wonderful experience. When our daughter, who is an artist couldn't design a logo for our new business due to other commitments, she suggested we try 99designs. We launched our contest and watched as the designs came in. ..."
"Karla has been fantastic - we loved her design and she was more than willing to work with us after winning the competition to fine-tune the design - Thanks Karla"
"Karla did a fabulous job with our logo! We couldn't be happier. She was very responsive to all suggestions and edits we asked her to make. Thank you Karla!" "Karla continued to give us choices and took our comments for guidance. She did a great job even dealing with the ever changing ideas that came with our group! She was definitely one of the few artists that didn't just submit their work and not follow ..."
"Brilliant job. We had 115 different designs from different designers who all gave a varied and excellent effort. Our first design came from Karla who set the bar high after we requested a modern and minimalist design. We stuck with Karla as she added an..."
"The experience with 99 Designs was great! Karla did an awesome job! She always did the changes I asked for in a timely manner. Her design was perfect! " "Karla's work was miles ahead of the competition. She has a knack for knowing how to incorporate others ideas into exactly the design they want. 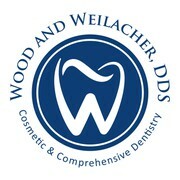 She is amazing, I really enjoyed working with her and I love my new company logo!" "She is a great designer, easy to work with & willing to continue changing the design until you are 100% happy with it! I would definitely use her again!"